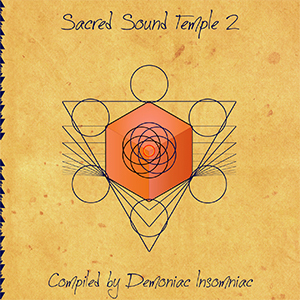 Sacred Sound Temple 2 is the second part of a new series of compilations from Active Meditation Music released to celebrate the label’s fifth birthday. As before, the focus is on pure night-time psychedelia, this time containing tracks from 148 to 175 BPM. Feel free to share this music with your friends, send your feedback, and donate to support the label and artists. Om Namo Narayan! All tracks compiled and mastered by Demoniac Insomniac. MP3 Download | FLAC Download | WAV Download · Download count: 7,641.
not so bad, it’s actually quite entertaining! An amazing leap forward not only for this label but for this genre. Both vol. 1 & 2 are absolute gems & show a new maturity in both sound and structure. Hope a third is on the way in the future.